With Readly you can read The Black & White Photography Book and thousands of other magazines on your tablet and smartphone. Get access to all with just one subscription. New releases and back issues – all included. The classic look of a great black and white photo has an undeniable elegance and a lasting effect. 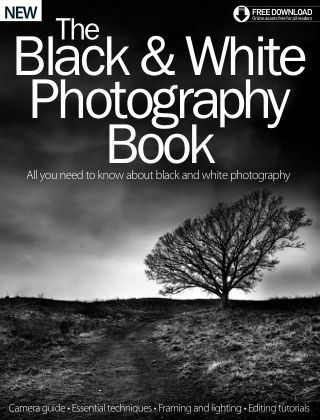 Master the power of monochrome images with the new Black and White Photography Book, and learn how to best approach various principles in photography for better black and white. We teach you the necessary kit, such as cameras, lenses and filters, that will transform your images. We then provide expert advice from the professional photography field to help you capture portraits, landscapes, architecture, street and travel photography, all while picking up essential editing skills.